If you are thinking of buying a Levovo computer, you might want to read this first. Lenovo PCs ship with man-in-the-middle adware that breaks HTTPS connections [Updated] | Ars Technica. Today, we are going to be talking about the Windows Media Player: I have a friend who ran into a problem in getting his CD‘s to rip inside Windows 7 and so I figured if he had the problem maybe there might be others. When you first open Windows Media Player, you have two options Express or Custom. Choosing Custom allows the user to decide what is important. 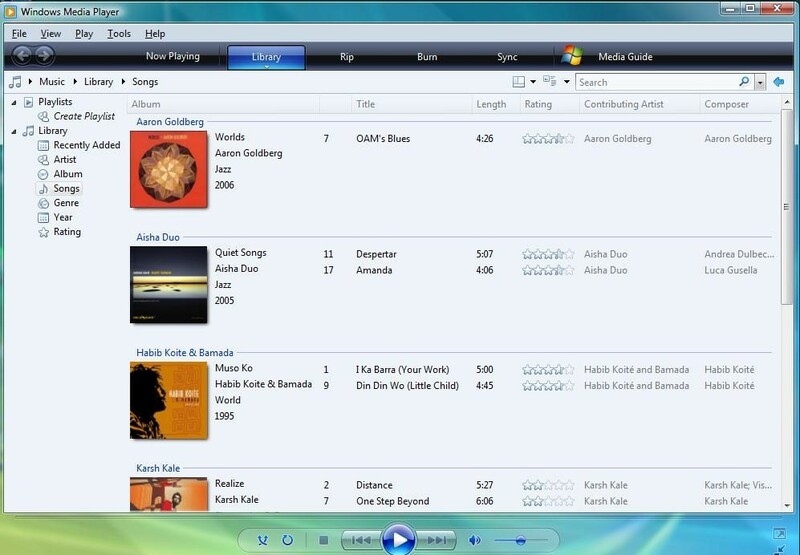 Now, if you’re in a hurry and just want to delve into the Windows media player the user can choose Express. 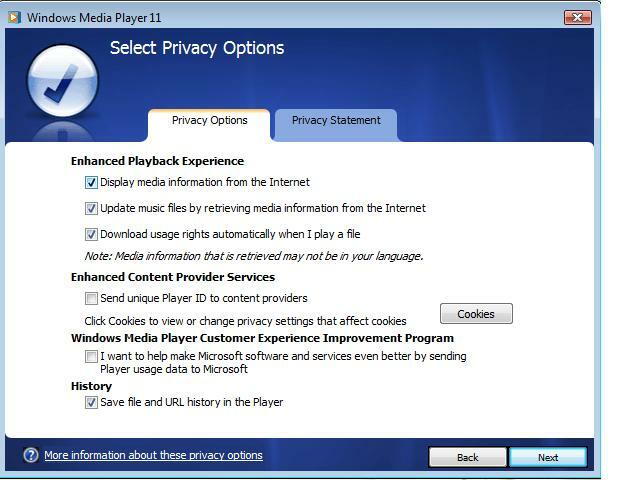 At the next window the user can select what privacy options they prefer. Display media information from the internet and Update music files by retrieving media information from the internet will help the user to download album art and titles of those songs. usage rights, which has Windows media player to acquire digital rights if you are trying to use a protected file. 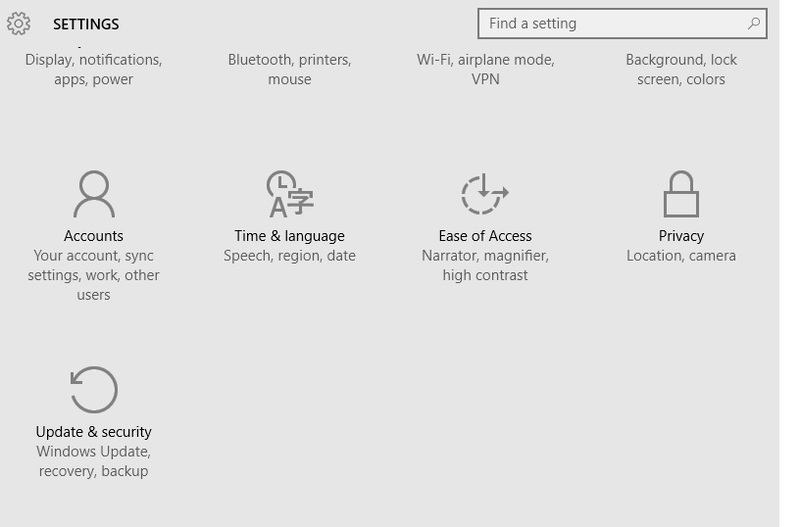 This protects the artist of the music Under the Privacy tab is how Microsoft handles your personal information and goes into detail on Usage Rights. Under Enhanced content is sending unique player ID, what this means, is that when streaming Media content, this identifies your specific computer to the server. Which also gathers statistics and may help improve quality. 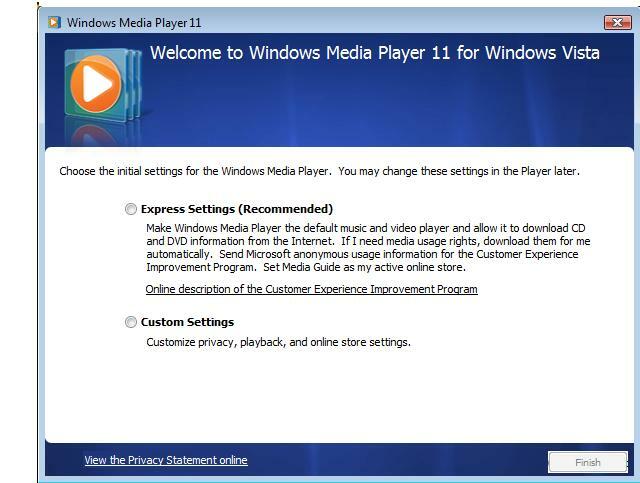 Windows Media Player customer experience improvement program is designed to send information to Microsoft, which covers the type of Hardware you use and how to improve the software. History is your most recently played music files. 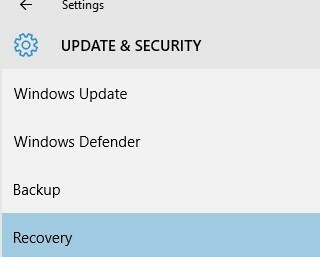 Next you are given the option to place an icon on the task-bar and on the desktop. On default you can set this to play all your music. 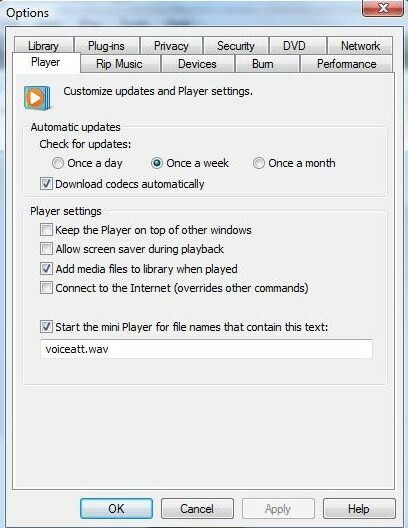 By selecting choose file types, this will bring up a list of type of files that you can listen to on the media player. Click Media Files and Finish. 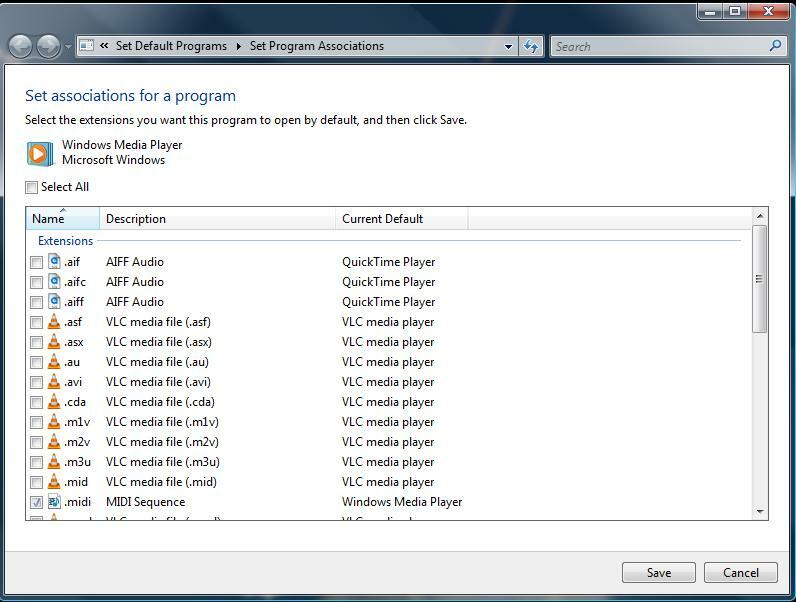 Once you have windows media player running, Press Alt on the keyboard, and this will bring up the main menu. 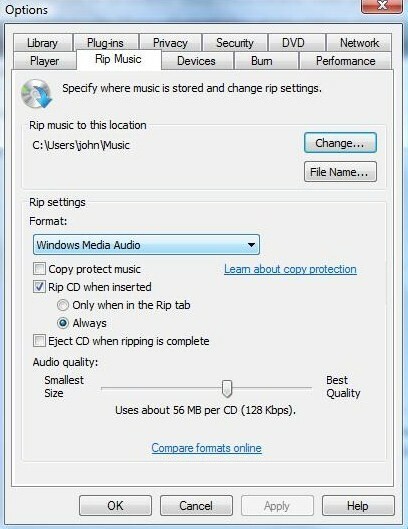 Upon clicking Rip Music go down where you see “Windows media Audio“ then depending on your preference click the proper box, click Apply and OK.
CD Drive acting up try this! Today, we are going to be talking on how to fix a cd drive. It’s one of those problems sitting in the background, not unlike a sleeper-cell. It wasn’t until I purchased An ASUS laptop. I recently had popped open my CD Rom, inserted “Passion of the Christ” to begin to watch a great Movie. Closed the tray and waited, nothing seemed to be happening. 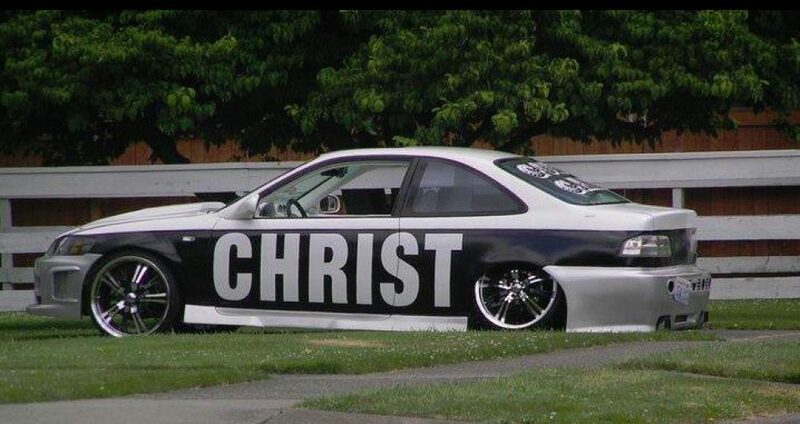 This is when you start to wonder is there something wrong with the computer. I know I could always, pick up a external CD Rom however, this is not the option one would like if they have a laptop. Who wants to carry an external drive around. Today, we will be talking about how to prevent problems in the future, by doing something simple, it may take a few minutes but, in the long run, it will be well worth it. I run across several computers and they all run into the same problem, be it something they were in a hurry to do, or they didn’t know that there is an alternative, or just didn’t notice. Like for instance do we notice that when you are about to download Adobe, that it includes a free virus Scan from McAfee. There are many programs out there it is sometimes hard to keep track of them, some them even include toolbars, so where am I going with this? 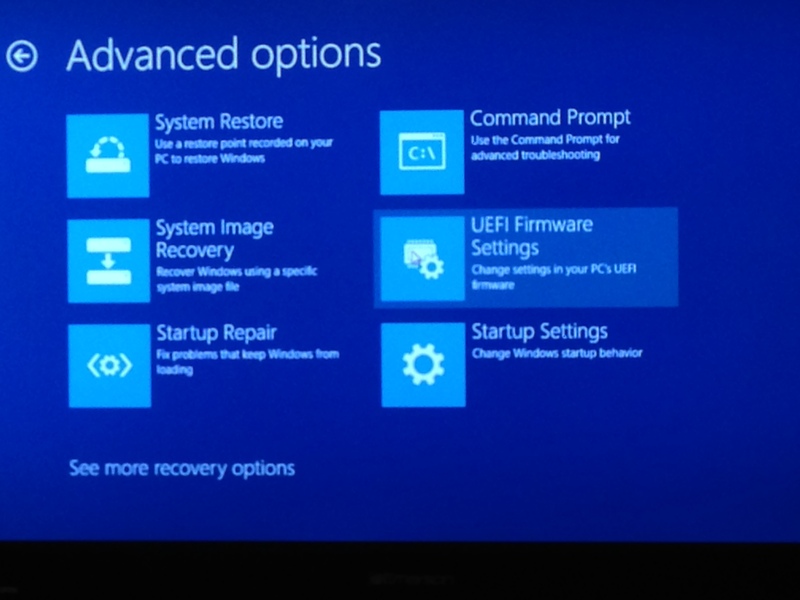 Once a person download a new program, the immediately want to run it sometimes overlooking the obvious, if you do the quick install you will not notice it until your computer starts to act strange. Then there are those that include a toolbar and all of sudden your browser is offering something, that you really didn’t want. By downloading something simple as “SpeedFan” we find we could end up with such programs as Conduit Search, Optimizer Pro, so in order to avoid having these programs installed on our computer, we clicked on decline, now if we didn’t notice that there was a decline button, and just pressed next, we would have these two programs, to not install Optimizer pro, you still have to UN-check the box, then click “Decline”I hope this gave you some insight into what can happen, and if we go slowly and just don’t click with out reading each item, we will solve a lot of problems and headaches in the long run. If you do get into a mess if you download from my blog Malwarebytes, this should take care of all of your problems.